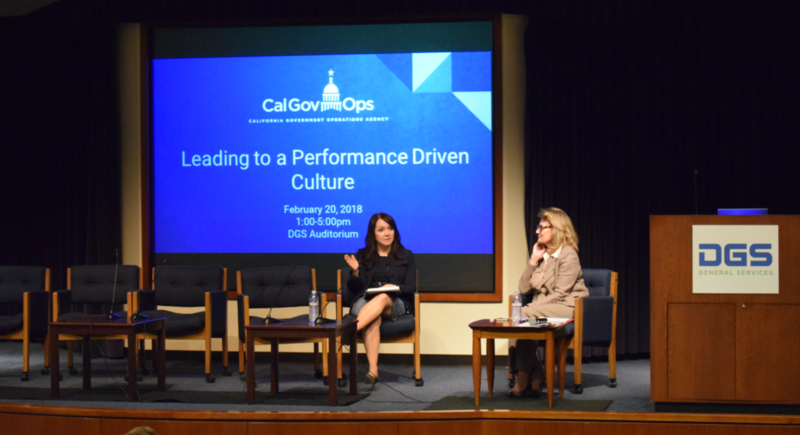 The Government Operations Agency hosted the “Leading to a Performance Driven Culture” conference on February 20, 2018 to build awareness of tools and strategies to build performance improvement initiatives at the department level. 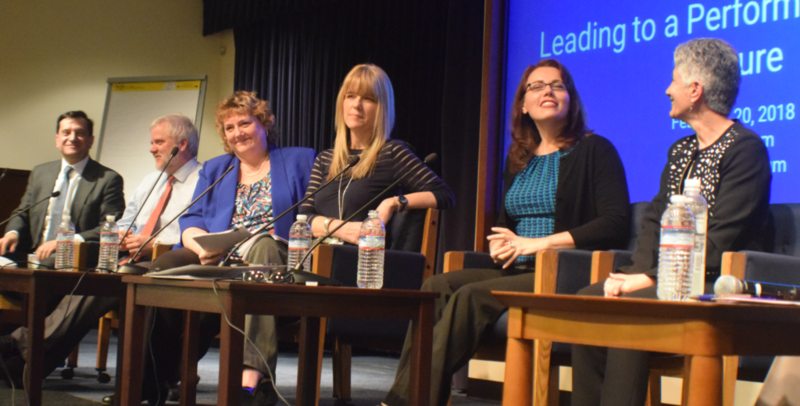 The conference featured expert perspectives from the national level as well from California state government executives involved in building performance improvement systems within their own departments. Beth Blauer is the Executive Director and founder of the Center for Government Excellence at Johns Hopkins University (GovEx). As a dedicated public servant and international expert on government performance programs, Beth has spent her career working to improve people’s lives by bringing data into governments’ decision-making processes. Prior to leading GovEx, Beth designed and launched Socrata’s GovStat platform for federal, state, and local governments. 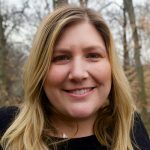 Having entered public service as a juvenile probation officer in Maryland, Beth was tapped by then Governor Martin O’Malley to lead his nationally recognized StateStat program. Beth is a graduate of the University of Maryland and holds a JD from New York Law School. Renee Kanan is the Chief Quality Offcer and Deputy Director of Medical Services at California Correctional Health Care Services (CCHCS). 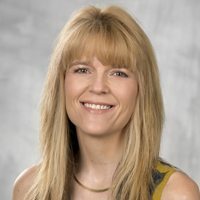 She is a board-certified internist with a background in healthcare systems and performance measurement and improvement who has emphasized the importance of transforming data into actionable information that can be embedded in decision support tools that make it easier for people to do the right thing. 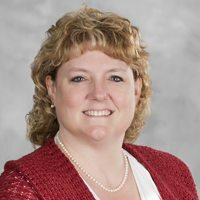 Throughout her career, she has focused on creating and hardwiring integrated models of care and change that promote a culture of continuous learning and excellence with the goal that patients, providers and the public are better off and better served because of the work of people in government. Renee holds a medical degree and a master’s degree in public health. Jeanne Harriman is Chief of the Financial and Executive Services Division at the Franchise Tax Board. 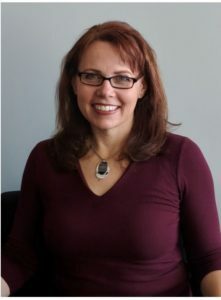 Jeanne oversees FTB’s financial, legislative, research, procurement, and enterprise planning and project oversight activities and works with internal and external stakeholders to ensure that FTB optimizes its operations. Jeanne has worked for FTB since 1989 and began her career in the audit program. In 2009, Jeanne became the Financial Management Bureau Director and was responsible for addressing the department’s financial interests. Jeanne has a Bachelor of Science degree in Business Administration with a concentration in Accounting and a Master’s Degree in Taxation from California State University, Sacramento. Jeanne also is a Certified Public Accountant. 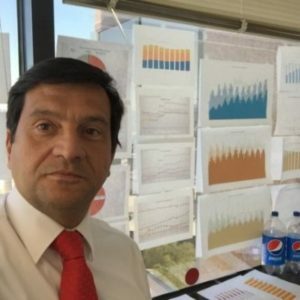 Rafael (Rafa) Maestu is an Economist and Chief Data Scientist with the Office of Information Management and Analysis at the State Water Resources Control Board. Rafa is a data liberator and believes that information-based management and science-based decisions require the right data, in the right format at the right time. Transparency in data and information also improves the efficiency and effectiveness of governmental organizations and holds agencies accountable for their results. Previously, Rafa served as a productivity improvement consultant and a program evaluation consultant for the Ministry of Environment of Spain and the European Union. He holds Masters degrees in Environmental Studies from USC, Environmental Economics from Universidad Complutense, Madrid, Environmental Management from the University of London and a Finance degree from the University of London. 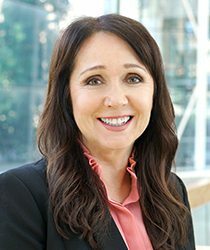 Marcie Frost joined CalPERS as chief executive officer (CEO) in October 2016. CalPERS oversees a global investment portfolio of approximately $300 billion, has approximately 2,800 employees, and operates on an annual budget of $1.8 billion. Marcie brings more than 16 years of pension industry leadership, information services expertise, and executive management experience to her role. She came to CalPERS from the Washington State Department of Retirement Systems (DRS), where she served as executive director and demonstrated strong leadership and innovation, an emphasis on customer satisfaction, and team collaboration. Prior to being appointed executive director, Marcie served four years as DRS’ director. Annette Lambert is the current Deputy Director of Quality Management, Informatics, and Improvement at California Correctional Health Care Services (CCHCS). For the past seven years, Annette Lambert has worked closely with Renee Kanan, Receiver Clark Kelso, Undersecretary Diana Toche, Steven Tharratt, and other leaders at California Correctional Health Care Services to build the agency’s quality management system, including a robust data analytics shop. Annette’s work at CCHCS in partnership with Dr. Kanan has emphasized data in the context of strategic focus, “making the right thing easy to do”, and detailed problem analysis to fuel improvement. She has more than a decade of experience in managing government programs statewide, and many years beyond that as a program analyst. Marlene White is the Chief of Optimization at the Franchise Tax Board. Marlene has worked at FTB for over 27 years and has held a variety of positions. 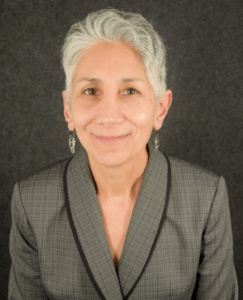 In her governance council role, Marlene focuses on ways FTB can use its resources to optimize the tools and enhancements the Enterprise Data to Revenue (EDR) Project introduced. This is in addition to her current responsibility as Chief Technologist – Planning Services, and Business Director for the EDR Project. Marlene graduated from California State University, Sacramento (CSUS) with a Bachelor of Science degree in Psychology. She also holds a Labor Relations certificate from University of California, Davis (UCD) and completed CSUS’ Leadership for Government Executives. 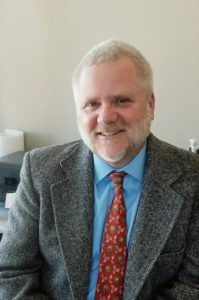 Greg Gearheart is the Deputy Director and chief of the Office of Information Management and Analysis at the California State Water Resources Control Board. Prior to this appointment Greg served as the statewide Storm Water Program Manager for about seven years. In his 23 years at this organization Greg has worked in many different program areas, including wetlands, watershed management, training and enforcement. Greg received a BS in Environmental Resources Engineering from Humboldt State University and also grew up behind the redwood curtain. In April of 2015, Michael R. Bloomberg, former Mayor of New York City, announced his What Works Cities initiative to advance the use of data and evidence in 100 mid-sized cities across the US by 2018. Mayor Bloomberg saw there was no organization dedicated to training and supporting cities when it came to using tools like data management, performance, and analytics. To meet this need, he launched the Center for Government Excellence (GovEx) at his alma mater, Johns Hopkins University. Since then, GovEx has worked in more than 80 cities around the world, trained over 1,300 government employees, and shared a wealth of information about best data practices and policies. This site includes case studies and guides. To support the advancement of innovation and improvement, CHHS developed an online resource to guide departments in the administration of the programs. The Playbook can be used by Departments to solve problems with data. It is designed to help build an organizational culture that is focused on data and data-driven decision making. Departments can leverage the various components of the Playbook as they see fit and can customize the Playbook to their needs. Founded in 2013, Washington state’s performance system integrates performance management, continuous improvement, and cross-agency collaboration to achieve key goals and improve government effectiveness. This site includes information about their performance results and the programs supporting their efforts. The National Performance Management Advisory Commission issued this report in 2010 to provide a framework to guide governments beyond measuring and reporting to managing performance toward improved results. The California Performance Management Council conducted a survey and issued an advisory report on the use of performance management strategies supported by case studies. Under the direction of Dr. Denzil Verado for the California Performance Review, a working team was formed to develop a strategic planning and performance management staff training handbook for state departments and remains a useful tool for departments.